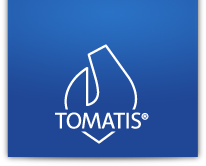 Tomatis® Method by itself is not an FDA approved stand-alone program (as is the case with all sound interventions) and is not recognized in the USA as a medical intervention that seeks medical reimbursement. At our center we focus on occupational, physical and Speech/language therapy services in an adult-child one to one ratio and we add Tomatis® training as one of our many tools. The TOMATIS® Method was developed by Alfred TOMATIS (1920-2001), a French Ear Nose and Throat physician. He devoted a considerable part of his career to studying the relationship between the ear and the voice, and by extension, between listening and communication. It is possible to durably transform phonation by sustaining auditory stimulation for a specific given time (law of remanence). The TOMATIS® Method is based on a number of concepts about how the human being develops, processes information, communicates with self and others and, finally, learns. In the course of his research Dr. TOMATIS developed a training process that enables the individual to regain skills of analysis, concentration and communication. Indeed, thanks to a set of pedagogical tools, our method simultaneously works on three core functions of the ear, namely hearing, balance and energy.